For your convenience, you may request a callback and we will call you to talk about your specific needs. Continue enjoying the activities that you love. We treat athletes of all ages and abilities stay active, fit and competitive. Our highly trained physiotherapists will assist you from the day after your procedure until you recover. Approximately 80% of all people will experience neck pain at least once in their life, and up to 20% of us have it right now! Our experienced physiotherapists will deliver a combination of hands-on treatment to get your muscles and joints moving properly again. Back pain can be chronic and driven by abnormally heightened nerve ending and nerve pathway sensitivity. For over 30 years, Hastings Sports Injury & Physiotherapy Centre has helped clients quickly and smoothly return to their daily life, work and sport. 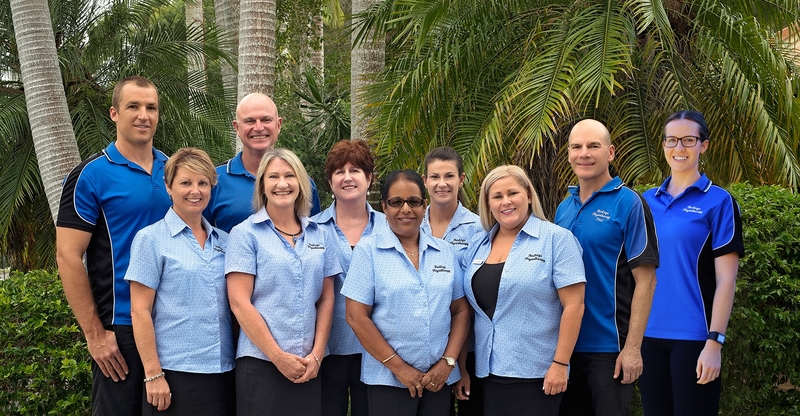 As Port Macquarie's most experienced physiotherapy centre, we are known for providing excellent physiotherapy services by using effective hands-on therapy and prescribing the right treatments to get you moving again. We are proud to be locally owned and serving our community since 1986. We provide same day treatment to help you recover quickly. With a passion for excellent patient care, our dedicated therapists will get you moving again and help you feel great! Guy grew up on Magnetic Island off the coast of Townsville, North Queensland..
Elise grew up in the Camden area and completed her Bachelor of Physiotherapy at the Australian Catholic University in 2014. Georgia grew up in South Australia and completed a Bachelor of Physiotherapy at the University of South Australia.